Missing the river, I took a hike down Cathedral Wash last week. This put me just below Lee's Ferry, the launch point for Grand Canyon river trips. 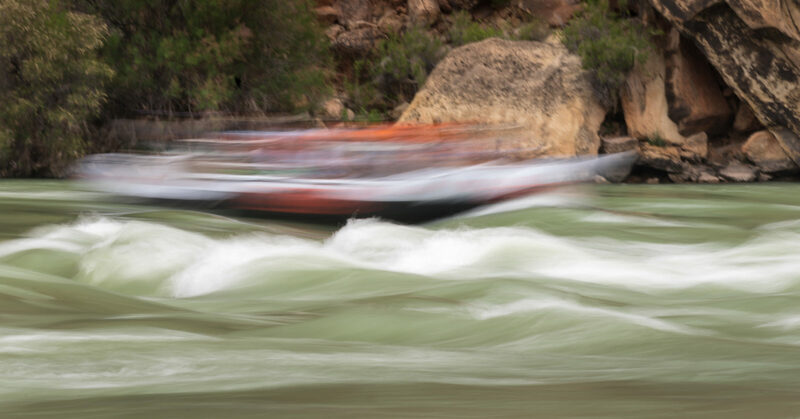 I had fun with motion blurs of the Colorado River and the raft.